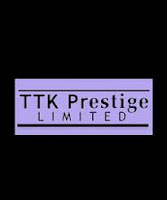 TTK Prestige has reported results for the second quarter ended September 30, 2011. The company’s net profit for the quarter under review surged by 54.63% at Rs 33.71 crore as compared to Rs 21.80 crore for the quarter ended September 30, 2010. Its total income has increased by 51.53% to Rs 304.47 crore for the quarter under review from Rs 200.93 crore for the similar quarter of the previous year. TTK Prestige, one of the oldest business houses in the country today.